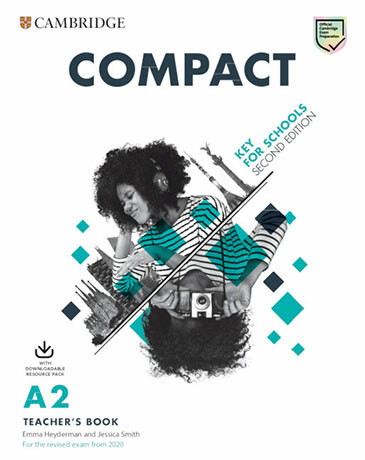 Compact Key for Schools Teacher's Book supports teachers with lesson preparation ideas and features CLIL extension tasks. It contains audioscripts and full answer keys for the Student's Book and Workbook. The Downloadable Resource pack includes Class Audio, access to A2 Key for Schools Speaking Test Videos, and worksheets containing extra skills practice for the exam and extension skills work to stretch students further.